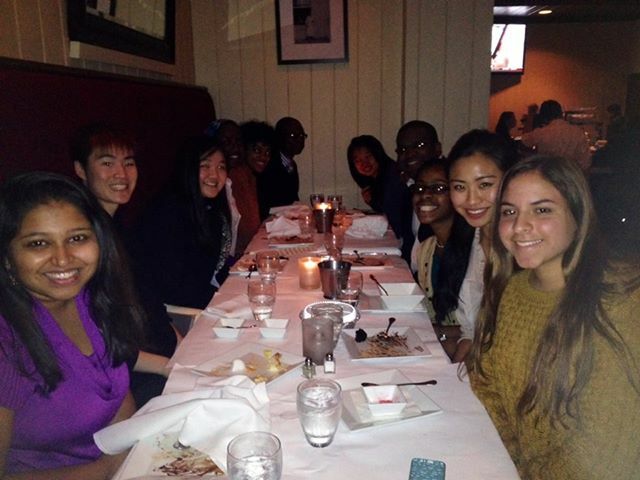 As part of their mission, the Minority Health Initiative Council (MHIC) held a Human Science minority alumni/student dinner on 10/21/13 at Chef Geoff’s Restaurant with alum Dr. Earl Johnson. Dr. Earl Johnson is a 2005 graduate of NHS were he majored in Human Science. In 2009, he graduated Emory Medical School and is currently completing his medical residency in plastic surgery at Georgetown Hospital. Dr. Johnson has been a strong supporter of MHIC since its founding in 2010. The students had a opportunity to ask Dr. Johnson about his experiences during his undergrad, medical school, and residency.